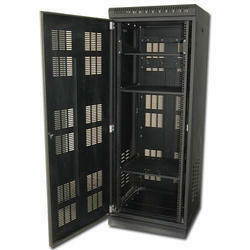 With the aid of our skilled professionals, we are engaged in offering the finest quality of Server Racks. 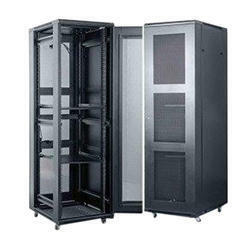 - High density server racks are designed using the latest technology for critical applications. - Our range is precisely designed to increase the storage capacity. - These provide options of panels and doors for the customized requirements. We are counted as one of the prominent manufacturer and trader of a comprehensive range of server racks, network racks, cable organizer, lab racks & wall mount racks. The range offered by us is known for its optimum quality, performance, cost effective operations & longer service life. 19" Wall Mount Rack -9U/550W/500D, Top & Bottom cover with cable entry provision, Top cover with fan position, Sides ventilated, Two pairs of 19 mounting angles with ‘U’ marking. With our years of experience & in-depth knowledge in this field, we are engaged in offering a quality-assured array of Network Rack. Note: Given price is our starting price range.